← How Negotiable Is Your Car Insurance Premium? Admiral Group has revealed their company’s trading performance for the third quarter of 2014 and it reported a 3% drop in turnover from £528 million in the same period in 2013 to £513 million. When you look specifically at the turnover from their UK car insurance arm, the company saw this drop by 5% in the third quarter of 2014 to £419 million from £440 million in the third quarter of 2013. The number of car insurance policyholders with Admiral has risen in the third quarter of 2014 compared to the same period in 2013. Another interesting statistic is that, in the same periods, the number of UK policyholders that have car insurance with the company actually rose from 3.03 million to 3.18 million – a 5% increase. These figures would appear to confirm just how competitive the car insurance industry is as insurers fight for new business. They presumably have to offer lower car insurance premiums to increase their customer base. 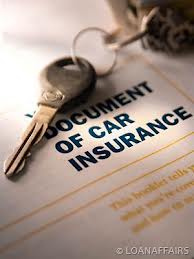 This must surely be good news for those looking for car insurance whether that is someone taking out such cover for the first time or an experienced motorist shopping around when their existing policy is coming up for renewal. With regard to the later type of customer, as we have said on occasions in the past, not enough people compare what they are being asked to pay for the next 12 months when they receive their renewal notice with what is currently out their in the marketplace from other insurance providers. You would be surprised at just how many people could get a cheaper deal by spending a few minutes sitting in front of their computer screens searching for cheaper premiums for the same level of cover that they have already. You can go onto one or more price comparison websites and very quickly get a number of quotes and at the same time read about the cover the various insurance companies are offering. Having made up your mind which insurer to transfer your car insurance to you can even arrange payment online. It is quick and simple. We hope that the above has proved informative. This entry was posted in News and tagged car, car insurance, Car Insurance Premiums. Bookmark the permalink.